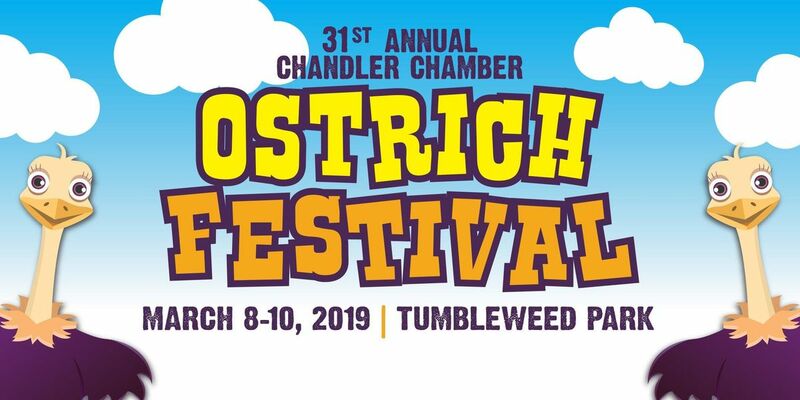 The Chandler Chamber of Commerce is excited to announce the 2019 dates for the nationally renowned Ostrich Festival, Friday, March 8 through Sunday, March 10, 2019. Tumbleweed Park in Chandler is the festival’s home located at the corner of McQueen Road and Germann Road (2250 South McQueen Road, just south of the Loop 202 San Tan freeway at McQueen Road). The 2019 event promises to be bigger and better than ever with national and local entertainment, amazing acts, great food, beverages and of course ostriches! ADMISSION PRICE INCLUDES ALL CONCERTS.ALL TICKETS ARE GOOD FOR ONE DAY ONLY. 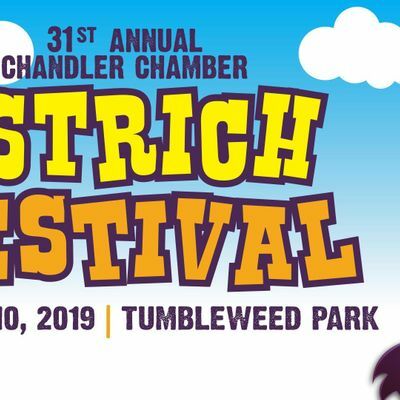 For more information on The Chandler Ostrich Festival, visit www.ostrichfestival.com.